This beautiful 3 Celestial Windchime features of 3 celestial guardians animals w/ wind chime: Fu Dog (foo dog), Chi Lin and Pi Yao. It is one of the best cure to 3 killings and Flying star #5. In 2019 year of the boar, you can hang this feng shui 3 Celestial Windchime in west location as a cure for 3-killings. 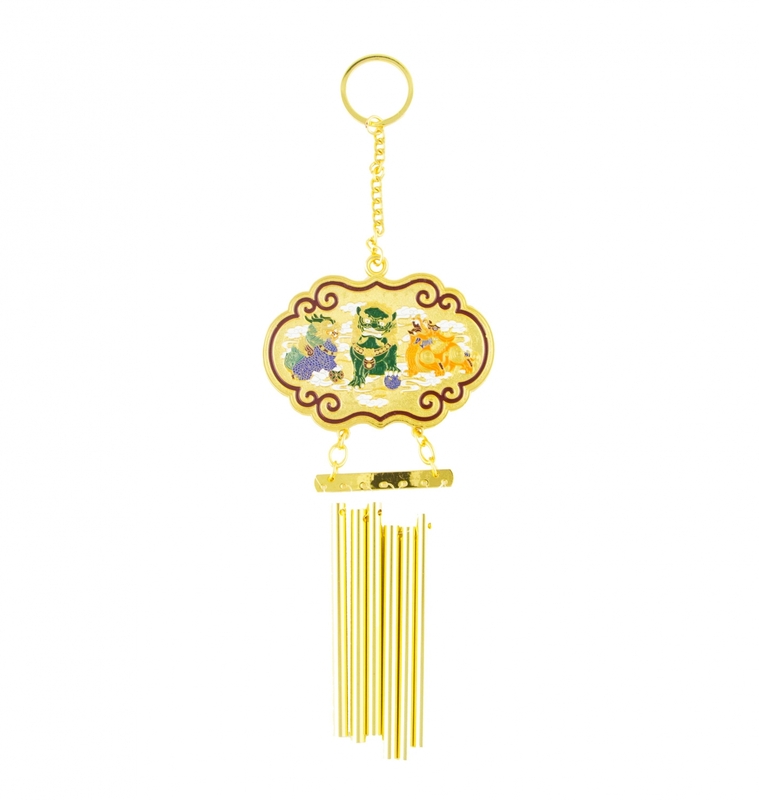 The overall length of the whole feng shui wind chime is approx. 11.5"(L) x 3.75" (W). Each metal rod is approx. 3.5" in length. The feng shui windchime is made of metal.